Part one of a multi-venue exhibition and programming series acknowledging public art makers in Memphis. Public/Art/ists will collectively recognize and share the work of artists who have participated in Memphis’ public art projects and initiatives, including the studio work (non-public art projects) of these artists, as well as insight into their processes and involvement in creating public art projects from conception to completion. The exhibition and ongoing events of Public/Art/ists not only act as a connection point to these artists, but also reveal the multiple facets of these artists’ practices in the community. 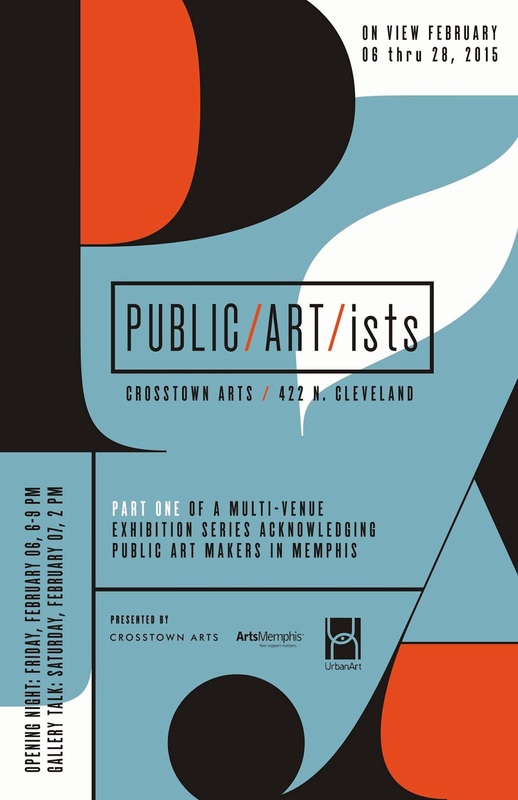 Crosstown Arts will host the first exhibition of Public/Art/ists, sharing the studio work of artists who have made contributions to Memphis’ urban landscape. Additional information about future exhibitions and programs of Public/Art/ists happening at other venues is forthcoming.